Contact protection relays are used in type 821 contact devices. They increase the switching reliability and switching capacity of electromechanical contact devices and lower their contact voltage. Undesired switching operations of contact devices caused by vibrations are significantly reduced by a drop-out delay of 0.5 sec. On the side of the contact they operate with a lower control voltage, however, on the output side they can be highly loaded. 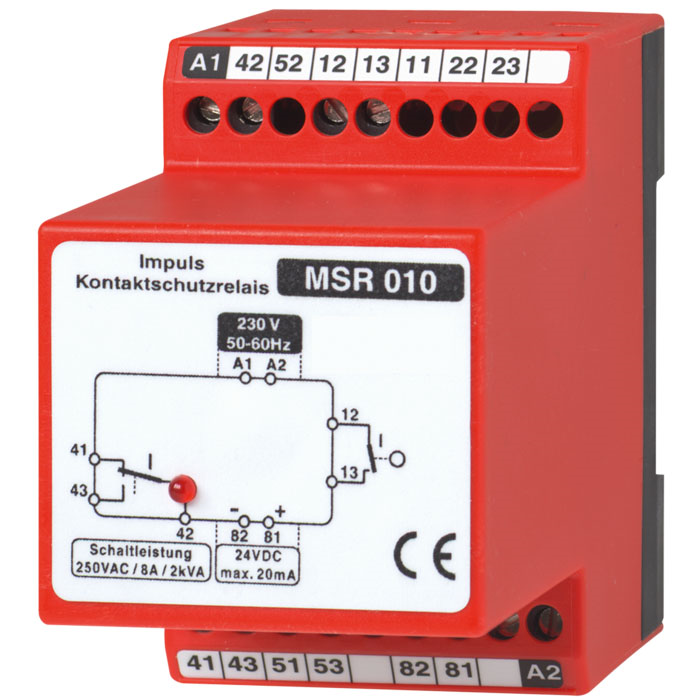 Contact protection relays consist of a power supply unit, control unit, switching amplifier and relay output. The contacts are supplied by a control unit with 35 to 40 V clocked DC (i.e. only every hundredth switching occurs under voltage). 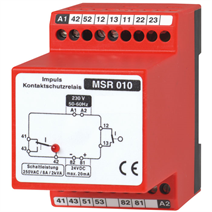 This enables the optimum contact protection and switching reliability for millions of switching cycles. Liquid-filled measuring instruments with contacts should be generally used with contact protection relays. The filling increases the service-life of the mechanical measuring system but at the same time it intesifies the burn-up of the contact pins. Besides the outputs for the contacts there is an additional output for 24 V DC (max. 20 mA). It can be used for example to supply the control LEDs or the transducer. Observe the safety measures when working with inductive or capacitive loads.